We all have been in one situation or another where we’ve worried whether or not our identities have been compromised and in many cases, the fear of this originates from an unexpected credit card charge or ‘abnormal activity’ on our accounts as reported to us by our banks and card issuers. The truth is that the vast majority of identity theft is caused by not taking proper precautions to prevent the issues from arising. 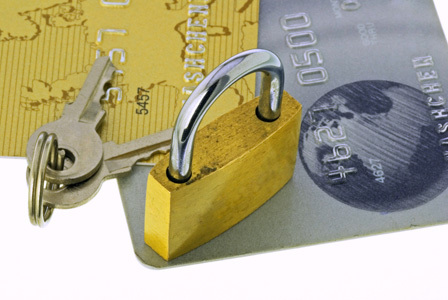 By taking a few proactive steps, you can avoid the hassle and frustration of having your credit card information stolen. Statistics that document where and when credit card theft occurs (whether it be physical theft or purely the gathering of information) show that the number one place for thieves to strike is at your workplace. Amongst the very people you see and deal with every day lurk potential criminals that are just waiting to get their hands on your cards. By keeping your cards on your person at all times, you can minimize the likelihood that someone will be able to copy down your information when you are not looking. The second most likely place for credit card theft to take place is in the vehicle, typically when you are not there. If you were thinking of leaving your cards in your vehicle at work after reading the paragraph above, think again. In many cases, credit card thieves scout out parking lots and look for recurring traffic. When they know your schedule, they strike and leave you with no clues as to who did it. If for some reason you have to leave your wallet or purse in the vehicle, place it in the trunk of the vehicle or at least out of sight of potential thieves; if they do not see a reason to break in, chances are they will not do it. The very second you realize that your card or its information have been stolen, call the card issuer and have the card canceled. Not only do most purchases with stolen cards occur in the hours following the incident, but card companies are much less likely to let you off the hook for unauthorized charges if you wait days or weeks before notifying them about the theft.